BPAL Box, originally uploaded by snidegrrl. If you click through to the Crafts set you can see other views, as well as how I gave up and used the rice trick for holding the imps upright. For a first try, it's alright. I'm no artist so the drawings do look a little 8-year-oldish. 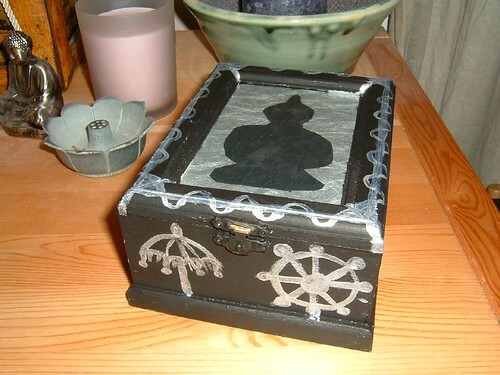 Also in the set are the mod I did to my original soapstone box, and my first bento box. Sorry I am such a posty macpostal today.